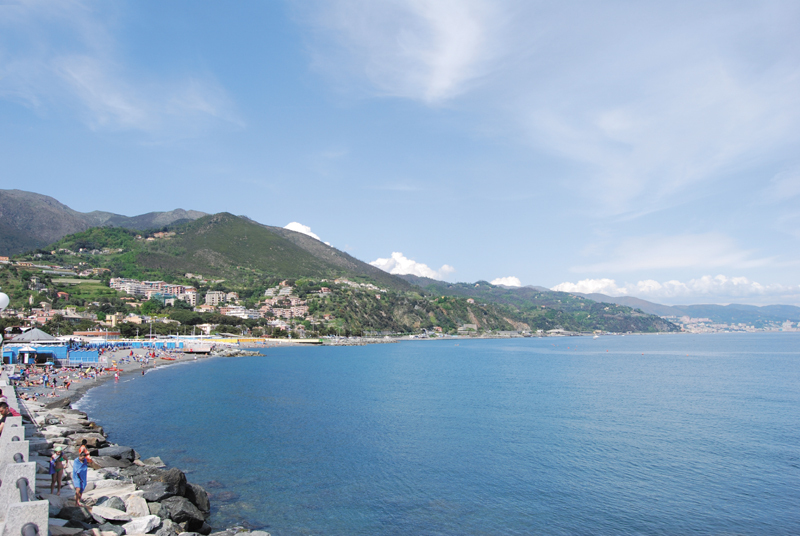 Arenzano is an idyllic, small town in the Genoa province, which you will reach once you have got past Voltri. It is located in an inlet closed by the San Martino cape. Aensèn or Rensèn, in the local language, is squeezed between the mountains and the seaside. 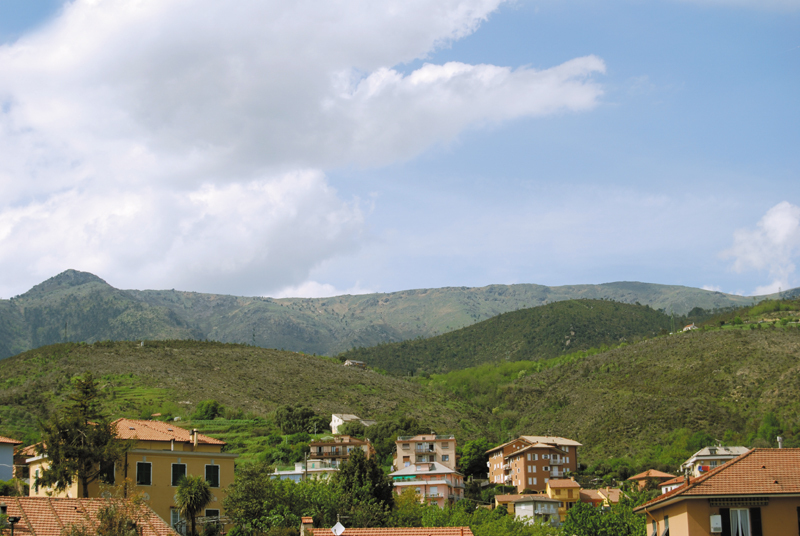 Its territory is entirely located inside the Beigua Natural Park and offers an image of peaceful tranquillity. In this sense, the Negrotto Cambiaso (16th century) villa and its lawn are its symbol, as today the villa hosts the town hall. Pay a visit to the parish church built by the architect Giovanni Antonio Ricca between 1703 and 1717, which will welcome you with its baroque facade, framed with two bell towers and the neighbouring Santa Chiara oratory from the 15th century. For those who are looking for a “dynamic” rest, you can reach Cogoleto by going along the cycle track that links the two villages on the coast. It is a wonderful promenade dedicated to the Genoese singer Fabrizio De André. You can also venture out to “CüduMundu”, a resort known for canyoning and mountain climbing. 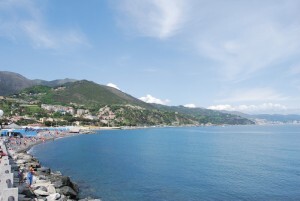 Yes, because the mountains and wonderful landscapes are the actual pearls in this corner of Liguria squeezed between the city of Genoa and the Savona province. The Beigua mountain chain (at 1287 m, the peak of Mount Beigua is located between Varazze and Sassello) overlooks the towns of Arenzano and Cogoleto, from which you can walk along the provincial road 57 to the top of Mount Sciguello (the pathway starts at Sciarborasca) and the Prato Rotondo refuge, the starting point of Alta Via dei Monti Liguri towards the Faiallo Pass and Colle del Giovo in the Savona province. If you follow the provincial road (SP53 and SP1), you will reach Tiglieto, a distinctive village in the Ligurian Apennine featuring the ancient religious building Badia di Tiglieto, or Holy Mary Abbey, dating back to 1120. Talking about pathways, Arenzano can also be reached on foot from Crevari in less than five hours especially by birdwatchers who follow the path through olive groves and chestnut trees.